You know that having regular dental check-ups is important to help catch and prevent cavities, but did you know that by seeing your dentist once every six months, you may also be preventing some very serious health issues in the future? 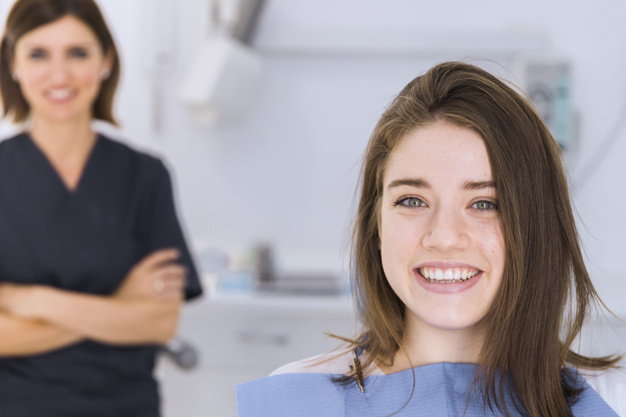 Good dental health is about more than cavities. Brushing and flossing are important because they help to remove a sticky substance known as plaque. But even the most diligent brushers do not always remove all the plaque from their teeth. When plaque is not removed, it turns into a hard substance called tartar which needs to be removed by your dentist or hygienist. Left untreated, tartar can build up under the gum surface and cause gingivitis which in severe cases can lead to tooth loss. When you have missing teeth, this can cause a negative impact on bone density in the jaw. Set your regular Dental Care plan now! During your dental check-up, your dentist may also perform an X-ray to look for any problems that may be undetectable to you – such as impacted teeth. Did you know that oral cancer is a very serious disease that kills one person in North America every day? The good news is that when oral cancer is detected early, the rate of survival dramatically increases. During your dental examination, your dentist will examine soft tissues like your gum and palate for any signs of this disease including bumps and white spots. The early symptoms of oral cancer may be completely painless and hard for you to see but your dentist knows what to look for will use a special light to find these signs before they are readily visible to the naked eye. Head, neck and lymph nodes. Additionally, your dentist will check your neck and lymph nodes in order to see if there is any unusual swelling. Again, this is something that you may not notice yourself but they could be an indicator of some forms of cancer or other serious health issues. If your dentist does find something out of the ordinary, he can direct you to the appropriate medical professional for treatment. Diagnosing serious health issues early can make a huge difference in your chances of recovery. Has it been awhile since your last dental check-up? Don’t put it off. Contact Sapphire Dental today to make an appointment.